The photographer trekked 60,000 miles (100,000 km) across the western United States and South Africa to create this massive composite image. A 28-year-old amateur astrophotographer, Nick Risinger, created the composite image below. It’s made of 37,000 separate photographs! 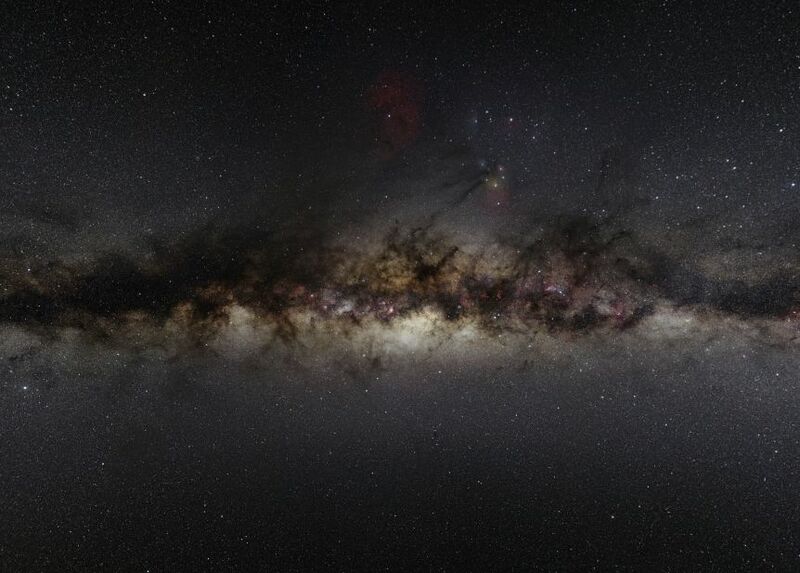 It’s a 360-panoramic view of the sky, and, Risinger says, it’s the largest true-color photo of the night sky, ever. He made it by trekking 60,000 miles (100,000 km) across the western United States and South Africa starting in March 2010. To appreciate Risinger’s image fully, click into Photopic Sky Survey, which will give you a gigantic, high-def, zoomable version. A 360-degree panorama of the night sky, by Nick Risinger. Click here for a massive, interactive, zoomable version.